Please take a few minutes to read this document carefully as it contains important information relating to the details you have given us. You should also show this document to anyone else who is covered under your policy. 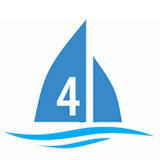 Your information will be held by Porthcawl Insurance Consultants (UK) Limited T/AS Insurance-4-boats.co.uk. Your privacy is important to us, and we will respect your personal information. We will use the information that you have given us to manage your insurance policy, including underwriting and claims handling. This may include disclosing it to insurers, service providers, regulatory authorities or to our agents who provide services on our behalf. Information is collected lawfully and in accordance with the Data Protection Act 1998, which applies to identifiable living individuals, and we will do our best to ensure that your details are accurate and kept up to date. If you become aware of any inaccuracies please ask for these to be corrected. We will continue to hold information about you after your relationship with us has ended, but we will only hold it for as long as required. Information provided may be stored on computer records and/or in paper files to assist us in completing transactions on your behalf, and may be used for statistical purposes only. This information may be disclosed to third parties in the course of providing analysis, marketing and servicing of our relationship with you. Details may be passed to our regulatory authorities and auditors for the purpose of compliance. However, strict confidentiality will be maintained at all times. In order to provide insurance we need to process sensitive personal data, as defined in the Data Protection Act 1998 (e.g. Health, convictions), about you and others named on the policy. Before sharing any information about another person you should obtain their consent. We will only use this data for the specific purpose for which you provided it and the services described in your policy documents. At the request of many of our customers and to make managing your insurance more convenient it is our policy to deal with your spouse or partner who calls on your behalf provided they are named on the policy and in some exceptional circumstances we will deal with others who call on your behalf. If at any time you prefer us to deal with you only or you would like someone else to be able to deal with your policy on a regular basis, please call us to let us know. In order to prevent and detect fraud we may at any time share information about you across the Porthcawl Insurance Consultants (UK) Limited and with insurers that we use. We may monitor or record telephone calls in order to improve our service and to prevent and detect fraud. If you have any questions regarding this policy or any of the content of this website please email the Data Protection Co-ordinator.